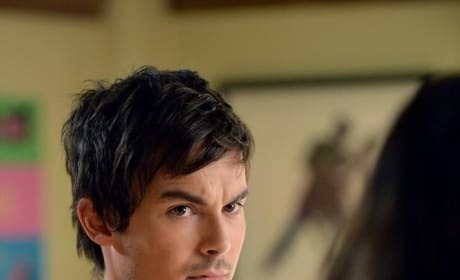 Caleb watches his girl as Hanna and Emily practice. Hanna talks with the expert about the pageant. Go girl! Jackie Debatin guests to help ready Hanna for a pageant. Still practicing the easy part -- being beautiful. Emily looks like she's received the worst news. What is it? Hanna is twerking, isn't she? Please, say it ain't so! 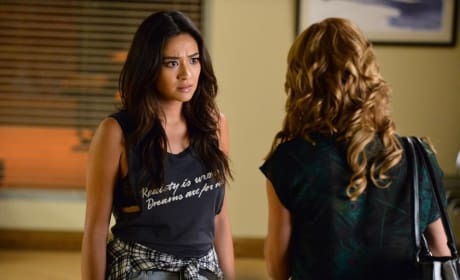 Is this Hanna's big gun pageant prep-master? Will she tell her brains count as much as beauty? So who has the wrong moves here? Someone is off, one straight arm, another elbow bent. What is happening here?! Hanna and Emily are hard at work to be pageant ready! Hanna's in some serious training to win a beauty pageant. But it's not all about being pretty.